Available exclusively in OMEGA’s Boutiques. Characterised by its thin and classic case, the Trésor line was first launched by OMEGA in 1949. More than half a century later, the newest models in the collection still remain true to that timeless design. 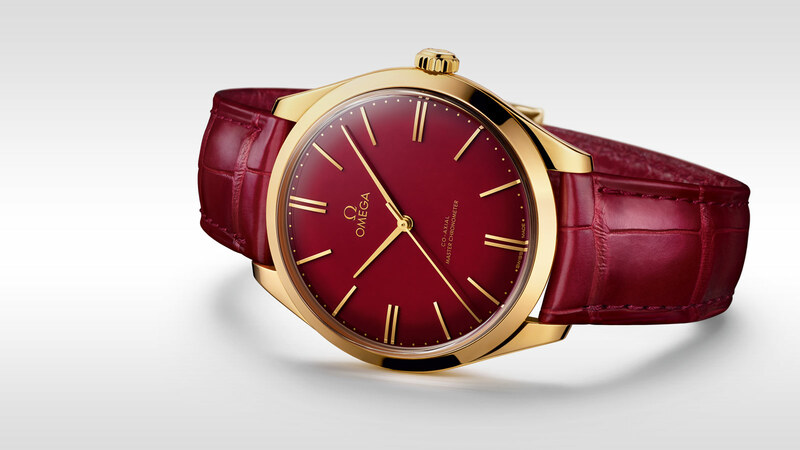 This model celebrates the 125th anniversary of the OMEGA name and has been created with a number of unique touches. 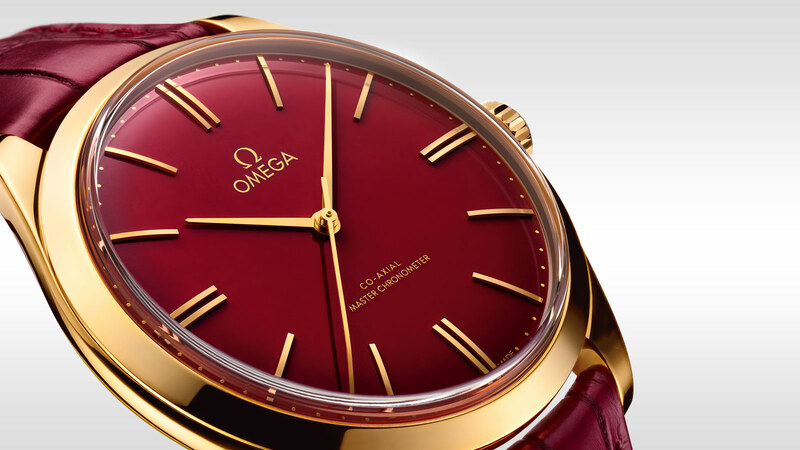 The 40mm timepiece includes an 18K yellow gold case with a rare red enamel dial that links to OMEGA’s iconic brand colour, as well as 18K yellow gold domed indexes and hands. 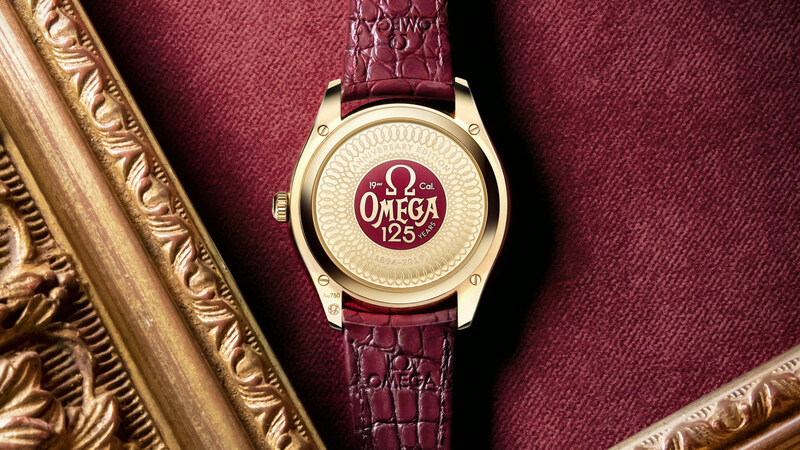 The caseback includes an 18K yellow gold anniversary medallion filled with red enamel. This is surrounded by a traditional engraving known as damaskeeing – the same that was originally used on some 19-ligne calibres. 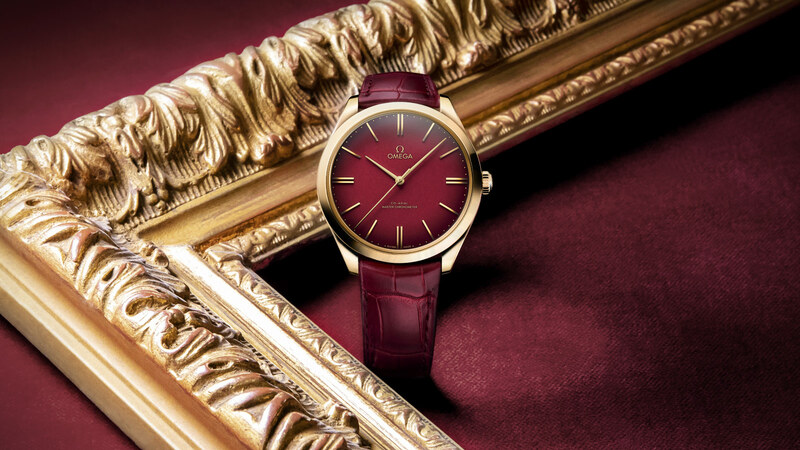 The watch is presented on a burgundy leather strap and is driven by the OMEGA Master Chronometer Calibre 8929 – the first manual-winding Master Chronometer movement. 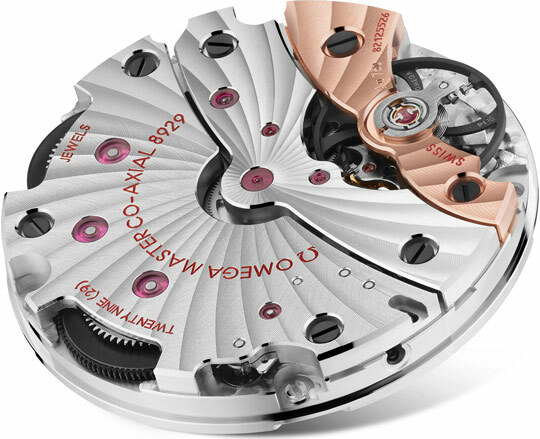 Manual-winding movement with Co-Axial escapement. Certified Master Chronometer, approved by METAS, resistant to magnetic fields reaching 15,000 gauss. Free-sprung balance with silicon balance spring, two barrels mounted in series. Time zone function. Special luxury finish with 18K Sedna™ gold balance bridge with Geneva waves in arabesque.